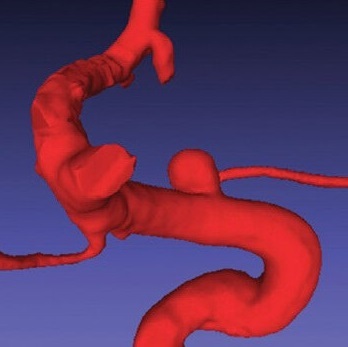 Researchers from Vanderbilt University Medical Center and Dartmouth-Hitchcock Medical Center recently reported use of 3-D printing techniques to create a vascular model of an intracranial aneurysm. 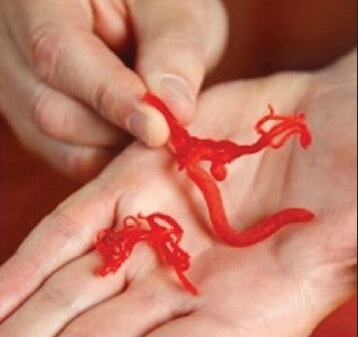 I have also used 3-D printing to create vascular models. In the journal Surgical Neurology International, the authors described their technique. They used digital subtraction with a fluoro-CT system to capture the anatomic image and create a surface model. Mesh editing was then performed with MeshLab. The model was printed on a Stratasys Objet 500 printer using the Tango Plus material. Such models may be useful in patient education or determining the best surgical approach. The authors state they used stereolithographic techniques to create the model, but the Objet 500 printer uses PolyJet technology. Stereolithography involves multiple layers of UV curing of a liquid resin and the material is usually quite rigid. I've used stereolithography to create vascular models (to be described in an upcoming paper) and I know it works. There is a spec sheet for the printer here, and a description of different 3-D printing techniques here. Nonetheless, this is interesting and impressive work. One problem that I have had with the Tango Plus material is the minimum wall thickness, and I wonder if this was an issue. 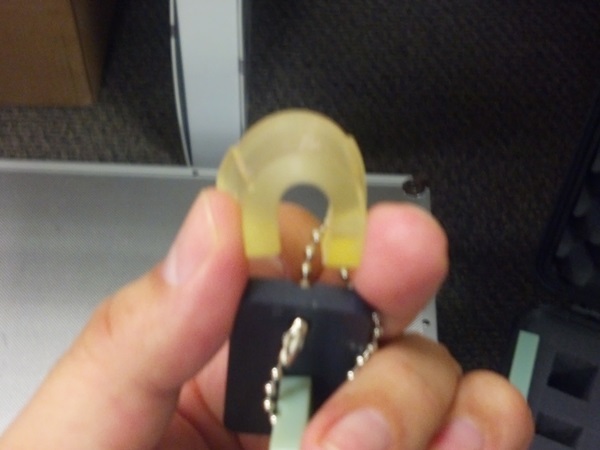 A nice thing about Tango Plus is the quite rubbery and compliant feel. What do you think about the potential of 3-D printing for vascular applications? Please leave a comment!